Recently, PALA founder John Pritchard was fortunate enough to spend some time with Chipo Mweemba who heads up the clinic at the Chinsali Vision Centre in Muchinga Province, Zambia. Chipo was in London to speak at the recent Vision Matters event at the Houses of Parliament. The centre was built by Vision Aid Overseas, and funded by PALA Eyewear from sales of our sunglasses. Muchinga province was created in 2012 and thus it did not have any vision centre. The need was so profound that people would need to travel over 800km to access eye examination and spectacles. It’s for this reason that PALA stepped forward to fund the establishment of the centre through Vision Aid Overseas and the Ministry of Health. 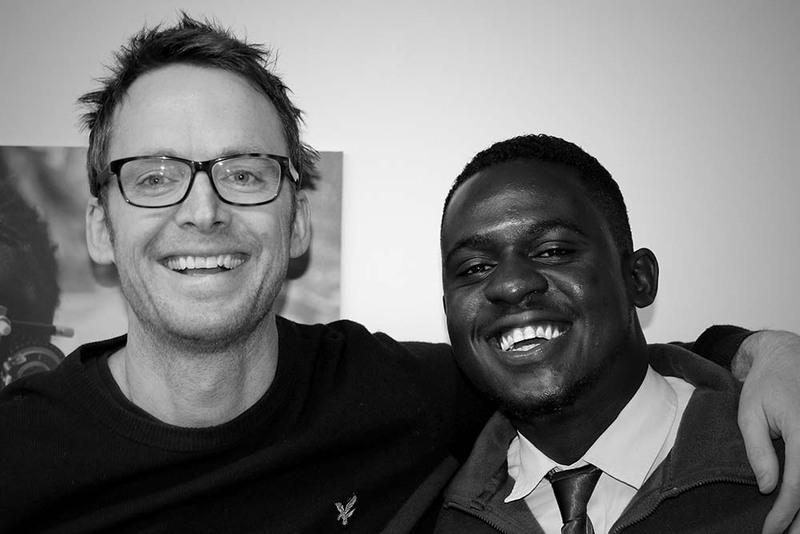 It was a chance for John to hear first-hand about the impact the vision centre is having, as well as to learn a little about how Chipo became an optometrist. John Pritchard: Chipo, it’s great to meet you. Can you tell me a little about what led you into optometry? Chipo Mweemba: I grew up in Kafue, Lusaka Province, in Zambia. I did well at high school, but had no idea what I wanted to do in life. For a while, I thought about becoming a pilot. However, after I became the president of the school science club, I realized I wanted to do something to do with electronic and electrical engineering, something that would challenge my mind. Due to financial difficulties, I couldn’t go to college right away after leaving school. Instead, I began fixing cars at a garage in Lusaka, the Zambian capital. One day I was chatting to a customer, who said to me ‘You seem to have gone to school. Why are you working here?’ His wife worked at the Chainama College of Health Sciences in Lusaka, and he suggested that I apply. I went along without any thought about what I might do, but I was encouraged to apply for Optometry, as it was a new course. A government grant would pay 50 per cent of the course fees, if you pass a test. I did the whole thing in a day; I applied on Thursday, then took the three hour test on Friday morning, followed by the interviews. When the results came out, only ten people had been selected, from 3,000 applicants, and I was one of them. JP: So if you hadn’t chatted to that customer, you might never have studied Optometry! How did you find the course? CM: When I was young, I wasn’t really thinking about the world around me; however, as I’ve grow and taken on greater responsibility, I’ve seen a lot of people suffering, especially with their eyes. And so, when I started Optometry, I found it very satisfying. With my background, there’s a lot I can do. For example, retinoscopes used in eye examinations cost thousands of pounds and in Zambia it’s difficult to even get hold of them – there’s maybe one or two optometrists in the country who have them. So I’ve tried to make one from simple materials, using my engineering experience. JP: What happened after college? CM: I did some locum work in the private sector, but I didn’t like the way it operated. I also worked as a volunteer for a year at the Dame Mary Perkins Optometry Training Centre in Chainama College, where I worked with people like ophthalmic nurses, Ophthalmologists and optometrists and learned a lot. Then at the end of 2016, the government began bringing qualified optometrists into the government system, which is when I was posted to Chinsali. I now look after the Vision Centre there. 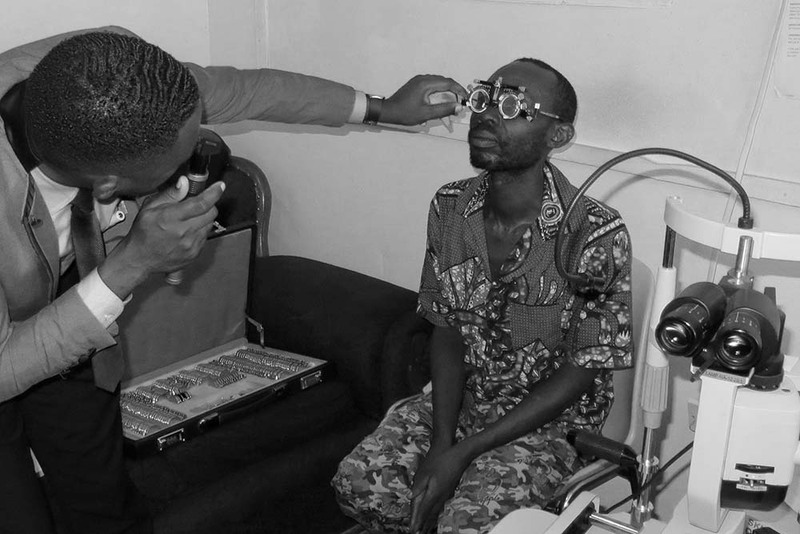 JP: What’s the state of eye health care in Zambia? CM: Around five years ago, there were only two qualified optometrists in the whole of Zambia, a country with a population of around 17 million. Then Vision Aid Overseas introduced the optometry course to Zambia. We now have 52 qualified optometrists, with around 10-15 qualifying each year. Chainama College is still the only place you can study optometry in the country. However, currently, only the general hospitals and a few district hospitals have a qualified optometrist – the eye clinic that Pala has provided is based at Chinsali general hospital, functioning as a department under the hospital.). You know, Glaucoma is common in Africa and with Glaucoma, time is a factor because early intervention can save eyesight. So with so few clinics, it’s not uncommon for people to travel a long way to be tested. They can’t make appointments, so they just have to show up, having perhaps walked up to 50 kilometres to get there. So I usually work until I’ve seen everyone, through lunch and beyond the scheduled end of the day. You just have to see them. JP: What impact is the clinic having on people’s eye health? CM: Three-quarters of eye problems are genetic. One time, I screened a man with bad eyesight; he told me that everyone in his family had poor eyesight and that there was nothing that could be done for them, it was just the way his family was. During the screening, he was shocked to experience clear vision for the first time. He was so amazed that we went and got his entire family and brought them to in to be screened! Some people in Zambia believe that if you start wearing glasses when you are young, that you will eventually go blind, so they refuse to wear them. I recall a seven year old girl whose family had travelled 160 kilometres to see me. She was struggling at school and when she watched TV she would stand really close to it. The examination showed that she could only see around two metres; beyond that she couldn’t see anything. Once she got her glasses, she was able to read everything and her parents were in shock – in fact they got two pairs of glasses for her! Often, people’s reactions during the screening are incredible – many are amazed and smiling when you treat them, some even dance! It’s amazing. JP: It sounds like a lot of progress has been made towards eyecare in the last five years. What would you like to see happen over the next five years? CM: The work done by Vision Aid Overseas to support us is really important, since we don’t have the numbers of qualified optometrists. When they come to visit, they bring instruments with them that we haven’t used since college, as well as sharing their experience, which is way beyond what you can read in a book. So, the aid has made a big difference from where we were five years ago, but there’s still a lot more to be done. Ideally, within the next five years, I’d like each clinic across the country, even those in remote areas, to have at least one optometrist and basic instruments such as a retinoscope. Then everyone in Zambia would have access to eye services. JP: Thank you Chipo for your insight into the impact that is being made locally in Zambia. Clearly there is much to be done, but with the hard work of your team and the passion you have for helping those that arrive at your clinic the future is looking brighter.